Founded in 2009 by William Wolfram, DealDash is said to be the longest-running bidding fee auction-based website and one of the largest pay-to-participate auction websites in the U.S, claiming to offer items up to 99 percent off the full retail price. According to the official website, the cost of a bid pack will depend on the number of bids you buy at once, and at the time of this publishing, the cost of a bid ranged anywhere from $0.12 to $0.15 per bid. In the past, however, when we did research past prices, it wasn’t uncommon to see bids as high as $0.60 each. At this time, use this as an estimate only and refer to the official website for more information in regards to what a bid will cost doay. 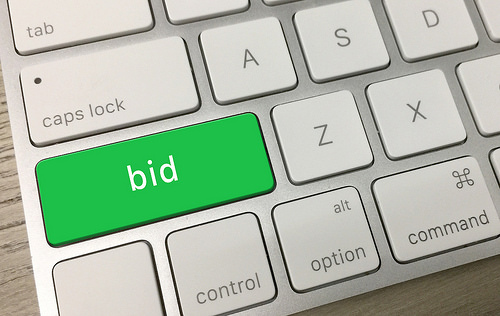 Members who do use the website quite often may also find themselves receiving free bids since each time you are the highest bidder, your bidder bar fills up, and once it does fill at 100 percent, you can get free bids. Auction leaders can also take advantage of free bids as well if you fall into the top three places as well. Be sure to check out the company’s promotional page for more information as to how you can take advantage of free bids. If you do not win an auction, you are able to get your bids back if you take advantage of the “buy it now” option. For example, if you bid 100 times on a $50 gift card and you didn’t win, then you could buy the $50 gift card and get all of your bids back, allowing you to re-use your bids on a future auction. A bid pack is a pack of bids and will be required in order to bid on the live auctions. The company, as per the website, operates as a pay to play model, which means you need to buy bids in order to take advantage of the auction. As soon as you buy bids, they are added to your account and you can start bidding immediately. Every time you bid, the company will take away one bid away from your inventory, raising the auction price by $0.01, and each time a member places a bid, the auction clock with then restart for another 10 seconds to allow another member to bid on the item. If nobody bids on the item as the clock runs out, then the last bidder will win the product and will have to pay the final auction price. For example, if you bid 100 bids on a $50 gift card and won it at $12, then the final cost would be your 100 bids, which would cost about $12, plus another $12 as this was the final bidding price, bringing your grand total to $24 for a $50 gift card. Your results will vary, however, as the company does offer promotions, such as 50% off the final auction price. In the end, the website is legit and not a scam; rather, be prepared to spend more in bids and on the final auction than what the product is actually worth. The FTC has received hundreds of complaints in regards to the company, with most referencing refund issues. While the company does claim they will offer a money-back guarantee, this will only apply on your first bid pack only. After that, you will not receive a refund.